A powerful female emcee in full effect, Ayo.! Ciera has been refining her rhymes in the underground just waiting for the perfect moment to unleash her skills on the m-i-c. Over the past several years she’s released tons of material online from singles to videos – every step she’s made with her music has been a confident leap forward as she continued to master the grip on her own signature style & raw sound. With her verbal A-game on-point, Ayo.! Ciera’s about to set it off and dominate 2018. In what’s guaranteed to be her breakout year, her lead-single “On The Phone” produced by Big E Beatz from her upcoming mixtape Overlooked Underrated is already blowin’ up the charts & playlists online. Representing Lakeland, Fl, with genuine swagger & attitude fueling the supercharged energy in her words, Ayo.! Ciera hits the bars with precision and passion that can’t be faked – she’s the real deal. With new videos, singles, and an entire record on the way. Ayo.! 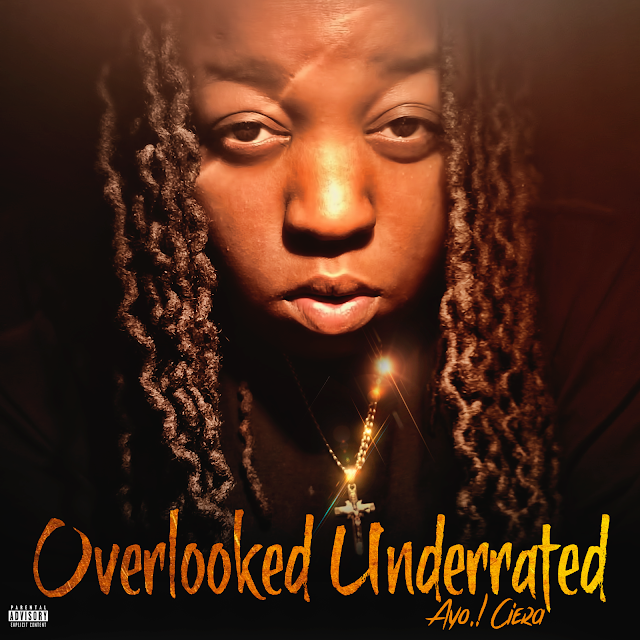 Ciera is ready to take her versatile skills as a wordsmith straight to the top in 2018 with Overlooked Underrated; a true sonic achievement with gigantic beats & hooks that can’t be denied, all from an emcee that’s clearly destined for greatness.